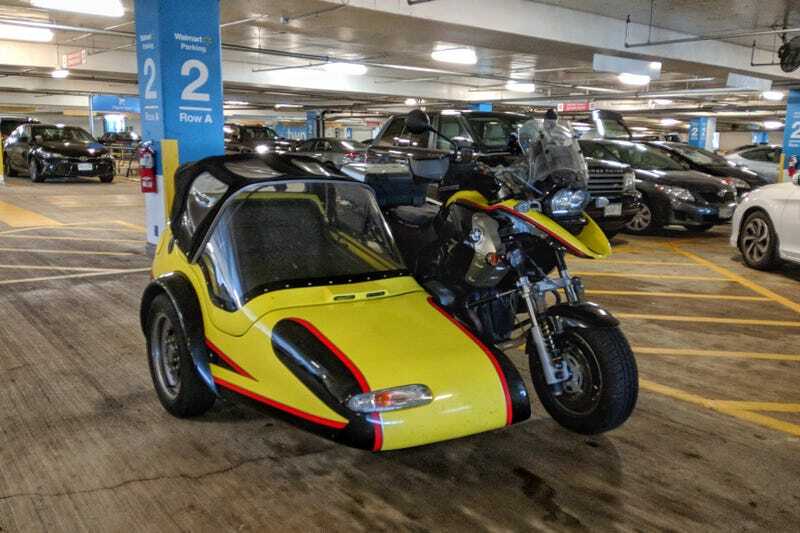 Spotted at the fancy Walmart by my office on one of my regularly-occurring lunchtime Walmart excursions: this BMW adventure bike with matching sidecar. It has lights on it. I recognized them. No word on if it was built in the 90s like the cars from which its lights were sourced. Oh, and here’s a pic from the bike side of the combination. Such cargo capacity!